Energizer will be launching 11 Smartphones Globally. Energizer India will be launching a smartphone first time in India shortly. Avenir Telecom, a brand of the Energizer brand, has announced the Energizer Power Max P16K Pro. The new smartphone, which is heading to Mobile World Congress (MWC) 2018 on February 25, has its battery as the USP that comes in a massive 16000mAh capacity. It is also touted to sport an "ultra-slim design" - of course, you can't expect a razor-thin build due to the large battery pack. 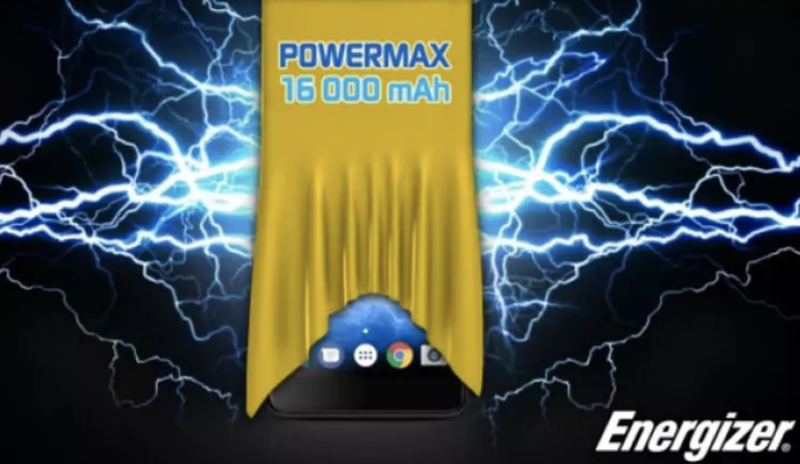 The battery is certainly the major attraction of the Energizer Power Max P16K Pro as it is significantly larger than even those smartphones from major manufacturers that offer reversible charging technology, including the Asus ZenFone 4 Max and Xiaomi Mi Max 2 that were debuted with 5000mAh and 5300mAh battery packs, respectively. However, there are other key features as well. As GSMArena reports, the Energizer P16K Pro features a 5.99-inch (1080x2160 pixels) full-HD+ display along with 18:9 aspect ratio and is powered by a MediaTek Helio P25 SoC, coupled with 6GB of RAM. The handset has a dual camera setup on the back with 13-megapixel and 5-megapixel image sensors. On the front, there is an 8-megapixel camera. It also has 128GB of onboard storage. Price and availability details of the Energizer P16K Pro are yet to emerge. We hope the French manufacturer would leverage the mass audience at the forthcoming MWC in Barcelona.Lets see what will be getting launched in India by Energizer.